Spokane, WA December 20, 2010. 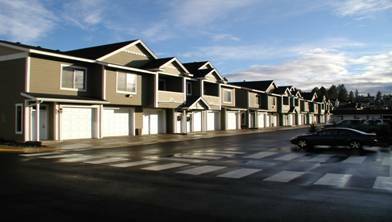 Cornerstone Commercial Mortgage arranged a $3,527,500 permanent loan to payoff a construction loan on a 42 unit multi-family apartment complex in Spokane Washington. The borrower was looking for the lowest, long term fixed rate available in the market. Cornerstone Commercial assisted the borrower in arranging a HUD permanent loan at 85% LTV, 4.20% fixed rate for 35 years fully amortized. The HUD loan process takes a little longer than the normal conventional loan to close, however, the borrower’s patience paid off and he was able to lock in an extremely low, fixed rate of 4.20% for 35 years. Cornerstone was able to accommodate the client’s request while providing excellent customer service.